Home Advice Is my Guernsey QROPS secure? Did you transfer to a Guernsey QROPS? Are you aware of the changes to legislation? Read on to find out how you may have been impacted. 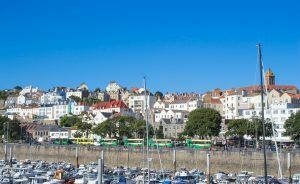 For many people who transferred their UK pension(s) to a QROPS in Guernsey some years ago, the choice of a stable offshore location at that time was obvious. That was, however, until 2012, when HMRC removed Guernsey as a QROPS jurisdiction. The result of this saw over 300 schemes struck from the HMRC QROPS list. In brief, HMRC determined that Guernsey QROPS schemes were not appropriate as the schemes offered better tax treatment for non-residents over residents. This was despite Guernsey’s attempts to change things to satisfy HMRC’s concerns. So, the answer to the question of whether a delisted Guernsey QROPS scheme is secure, is simply, Yes. However, with subsequent changes to UK pension rules, most notably the introduction of full drawdown flexibility (Flexi-access) in 2015, the question has changed. Guernsey being a non-EU state is unable to offer Flexi-access and remains under the 70% rule (“income for life”). Leaving the QROPS in Guernsey and the associated costs. Reversing the QROPS to a UK SIPP. Transferring to an alternative Jurisdiction where QROPS rules allow Flexible access. 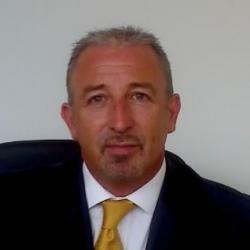 For an unbiased review of your Guernsey QROPS and other pension related matters, contact Harrison Brook today. Our qualified, experienced, expatriate financial advisers are happy to advise on all financial matters.